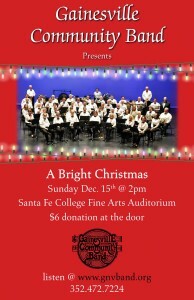 Santa Fe College Fine Arts Hall. 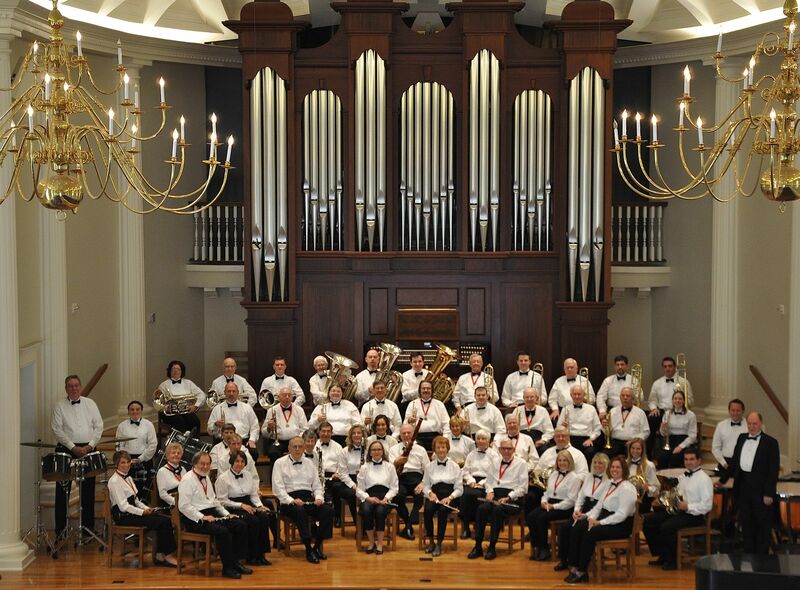 Bright Christmas has been the Gainesville Community Band’s musical gift to the community for over three decades. The music ranges from the traditional holiday favorites like Sleigh Ride to the TV favorite, A Charlie Brown Christmas. 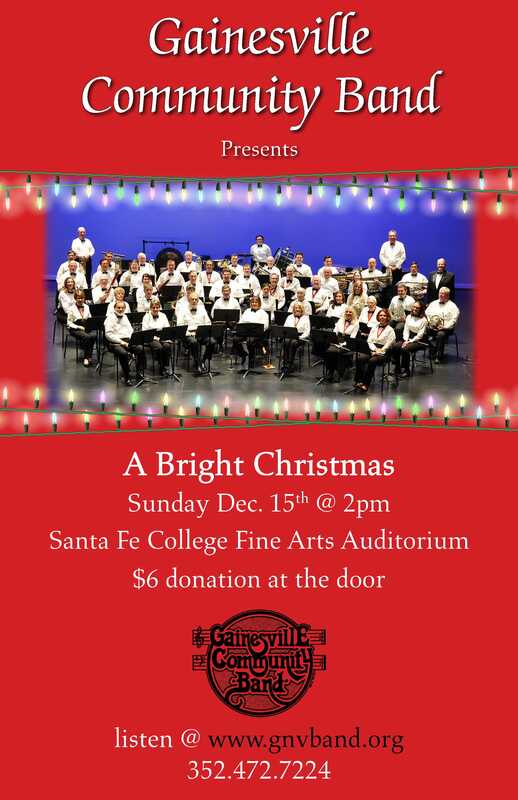 This concert will certainly put you in the Christmas spirit.